Since arriving back at Pool Academy Phil and I have been looking at all the amazing photographs that were taken up there. There are shots of the ground, the roads, the beautiful fluffy clouds and the sunset. 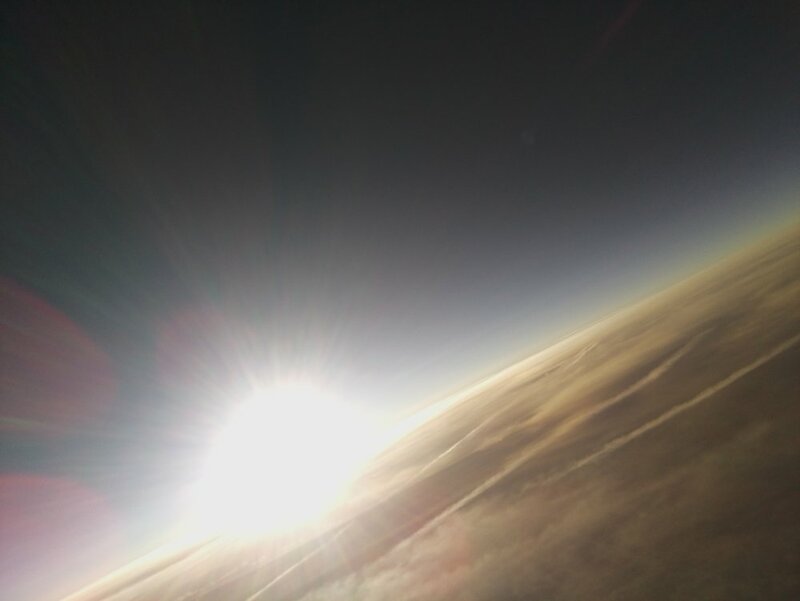 We have also learnt that the balloon lifted me 61,000 feet up into the air! I was also going really fast….at some points I reached speeds of up to 90 miles per hour – which is faster than a car on the motorway. It was really cold up there in the sky and I was glad to have my lovely warm t-shirt on. I was surprised to learn the high tech equipment I had taken with me recorded the lowest temperature was -40 degrees. That is the same temperature as a winter’s day at the North Pole! I have posted up some of the lovely photographs from my mission on this blog so you can see some of the amazing sights I saw on Thursday night. 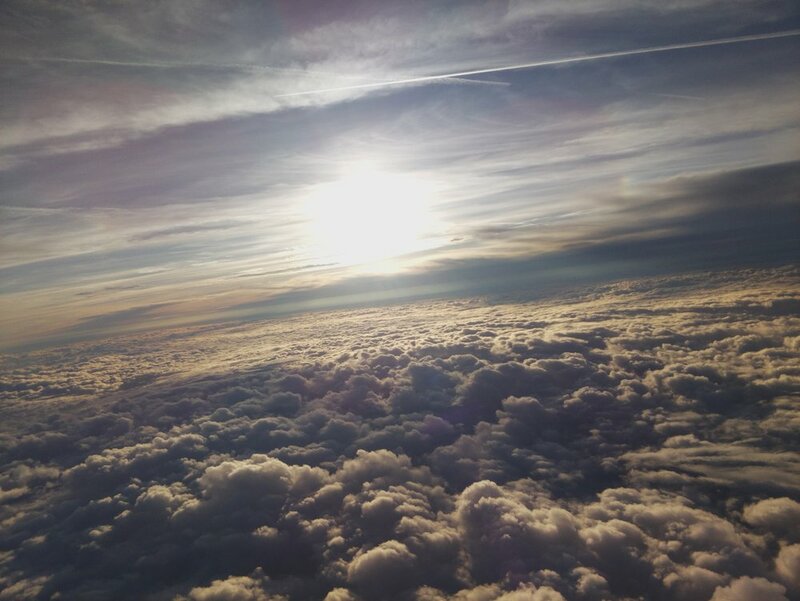 It is a special thing to see the sun setting when you are flying above the clouds. Yesterday I went to Roskear Primary School to show then the photographs.